The North East Branch of the Victoria Police Blue Ribbon Foundation partnered with the Benalla Hospital to make significant improvements to the Emergency Department, or Urgent Care Centre, as it is called today. The first step was to install a modern resuscitation facility, followed by a redevelopment of the unit to create additional treatment rooms and improved facilities so that medical and nursing staff could monitor patients in their care. The Urgent Care Centre was dedicated as Police Memorial to honour Senior Constable Simon De Winne (27590) who died in the line of duty from injuries received in a motor vehicle accident in December 1998. The final step in our commitment to Benalla hospital was the re-building of the Ambulance arrival area in the emergency department. This work, which included changes to the roadway and doorways, provided more direct access in and out of the hospital resulting in more efficient patient transport. 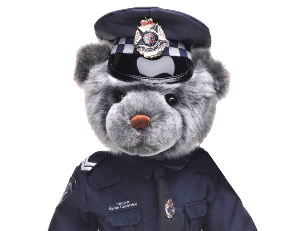 This was dedicated as Police Memorial to honour Senior Constable Simon De Winne. The installation of new resuscitation equipment was the first of a three stage commitment by the Blue Ribbon Foundation for upgrades to the emergency department at Benalla Hospital. This has been a joint funding project between the Blue Ribbon Foundation and the local community through the North East Branch. This first stage has been dedicated as a Police Memorial to Senior Constable Simon DeWinne who was killed in the line of duty near Swanpool in 1998.